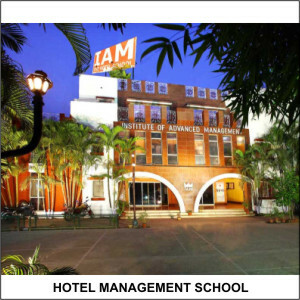 IAM, Institute of Hotel Management College, one of the country�s leading Hospitality Management Institutes welcomes you to study for a rewarding career in the flourishing hotel and tourism industry in an environment which is ambitious yet friendly, busy yet relaxed, practical yet intellectually rigorous, active yet thoughtful, young in vision yet built on years of experience and above all, always very professional. This reputation is further strengthened by our association with Edinburgh Napier University, Scotland, United Kingdom, West London University, London & Kasem Bundit University (Bangkok). The Institute celebrating 23 glorious years of success offers 3 year fulltime integrated Degree programme in International Hospitality Management.